This is one of our wooden decoration product which has designed in different models and beautiful carving. People usually use it for decorate their house, patio area, backyard, children room, office, garden, or even they common use it as decoration in a special event. 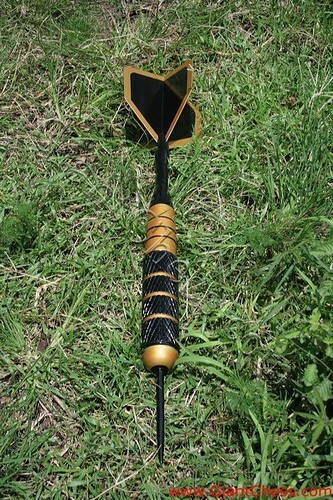 People like this decoration product because of its unique design and we called it as 'Giant Dart'. This giant dart made of Teak wood and carved carefully by our good craftsman. It's perfect for decorate the outdoor area of your house because the product is very durable. Made of the strongest wood, make this Giant Dart loved by many people who want to put some unique things in their house. Try it!